My first post over on the Berry Juice blog at Nameberry went active today. 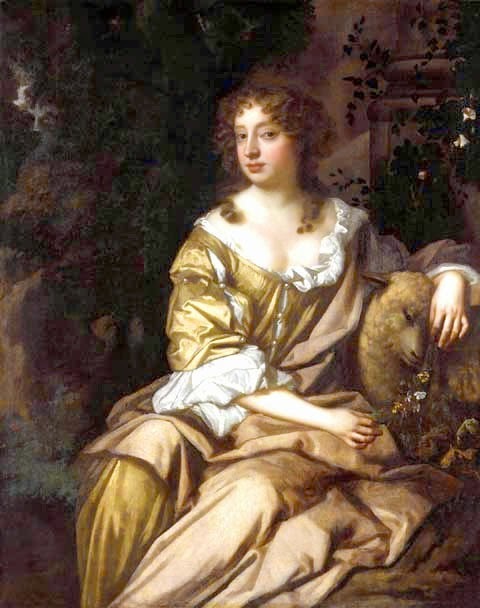 The topic I chose to write about was female names in Restoration Comedies, including some names that the infamous Nell Gwynn, pictured, performed under. So if you want to find some names with a literary heritage but don't want to go the typical Shakespeare route then click the link below. Thank you to Nameberry for giving me the opportunity to write for their site. Well done, most interesting and some glorious names!